WordPress is the CMS that runs the vast majority of high school news sites and it’s a great program for students to learn. 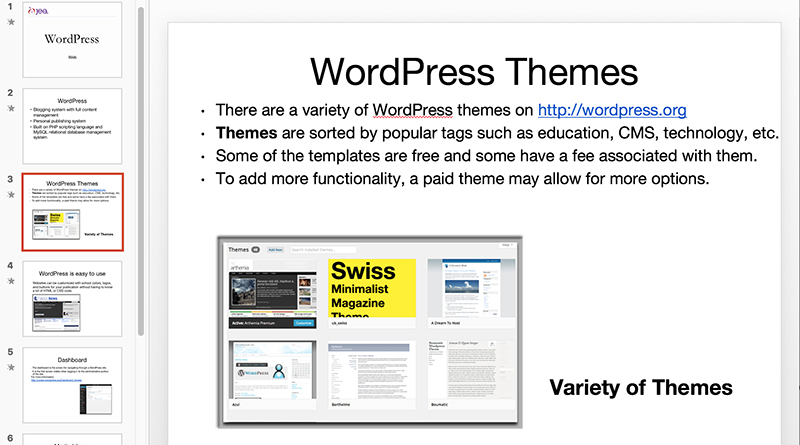 We have a few resources on this site that talk about WordPress and how to learn to use it. You can also find an overview WordPress lesson in the JEA Curriculum. The 50-minute lesson comes complete with a PowerPoint and works to get students started on a path of creating their own e-portfolio using WordPress. To supplement the curriculum for some more depth learning WordPress by checking out the WordPress Essential training on Lynda.com or check out these 10 ways to learn WordPress. This curriculum is available to all JEA members. To access the curriculum, you must be logged in to the JEA Curriculum site. Once you are, you can access this lesson here: Understanding WordPress.